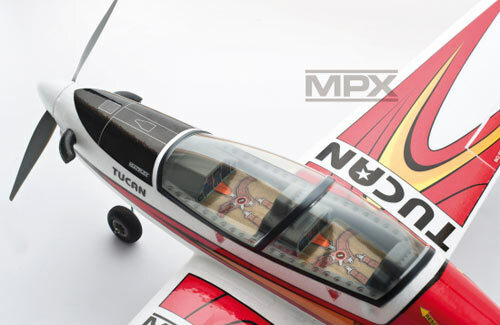 All Products > "25264284 Multiplex Tucan Aeroplane ARTF"
A sleek low-wing model with detailed cockpit, clear canopy, stylish decal sheet and strong undercarriage. 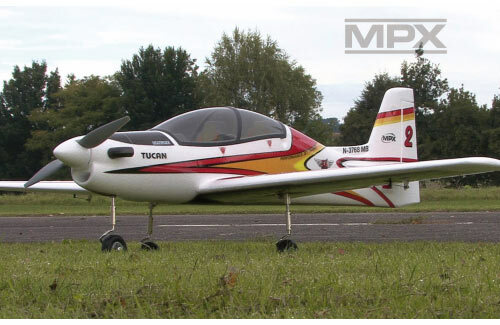 The TUCAN makes a great trainer or team flyer, and provides any amount of flying fun. 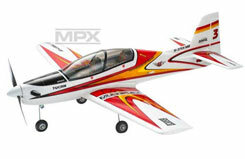 Sound, carefully considered design has produced a machine with a superb performance combined with good-natured handling. This ELAPOR model offers an outstanding set of new and sophisticated detail features which set entirely new standards in its class. Moulded ELAPOR components for fuselage, wing and tail panels, cockpit and spinner. 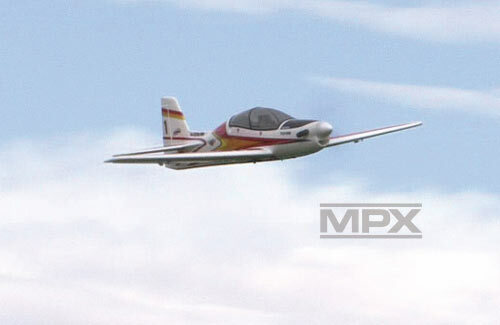 Tubular CFRP wing spars, laser-cut plywood fuselage parts, vacuum-moulded canopy in clear tinted plastic, moulded plastic components and pre-formed wire parts for fixed tricycle undercarriage, three air-wheels. All small plastic parts and linkage components required to assemble the model, 5 mm � propeller driver, pre-cut decal sheet, �Tucan� power set, Li-Batt powered, four Tiny S servos, one Tiny S MG servo, four 30 cm extension leads and comprehensive instructions. • Range of optional well-matched power sets available.